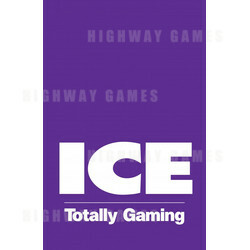 ICE Totally Gaming is the only b2b gaming event that brings together the online and offline gaming sectors. Featuring world-leading innovators drawn from the betting, bingo, casino, lottery, mobile, online, social and street sectors ICE provides a sensational, global perspective on all forms of gaming. Visitors to ICE Totally Gaming can also explore the hottest growth areas in land-based, online and mobile gaming courtesy of the ICE Conferences programme, which delivers a unique chance to benefit from targeted learning and networking. Organiser Notes : Clarion Events organizes more than 200 events (a mixture of exhibitions, conferences and seated events) annually across the globe. More than 12,000 companies trust Clarion with their custom each year and over 700,000 people give their valuable time to visit Clarion events. ICE Totally Gaming, in partnership with their official Hotel Agent Events in Focus, negotiates a number of room allocations with hotels in the vicinity of ExCeL, Tower Bridge and range of locations in central London.